Ann I Am! : Back-to-School Interview Printables--FREE! My favorite season is quickly slipping away and the kids will soon be back to school. I came across these great back-to-school interview questions that will help capture where your children are at this moment and on the last day of school. Visit Tatertots & Jello for these great questionnaires for children in grades K-12 from Kiki and Company. You can download and print them for free. 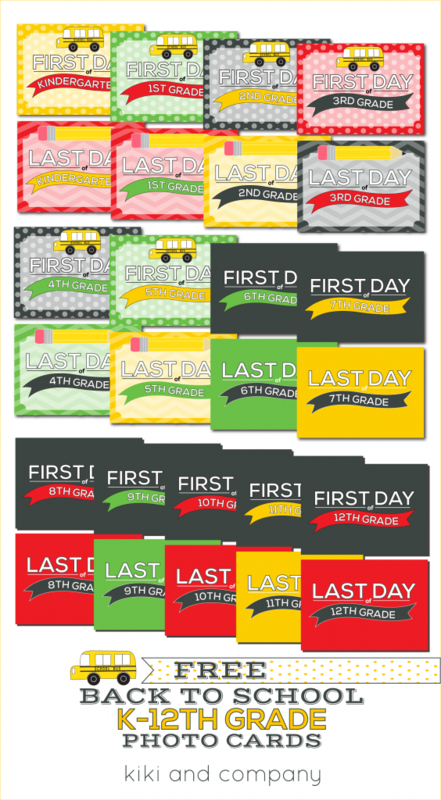 You can also visit Kiki and Company and download printable the first and last days of school signs for a photo opp.